CLAM WARS – ever since the Town of Oyster Bay began leasing the harbors bay bottom to commercial shell fishermen, there have been wars. Wars between the traditional hand-rake clammers and the industrial shellfish dredge company. Why the wars? Because they share the same waters, but not the same rules. Originally the bay bottom was divided, by leases, into many small pieces. Each shell-fisherman worked, maintained, and planted seed on his own leased land. Life was good. But gradually over the years as some lease holders grew older or went out of business, their leases got bought-up. Eventually all the available leases ended up in the hands of one commercial shellfish company, to manage that land however they chose. 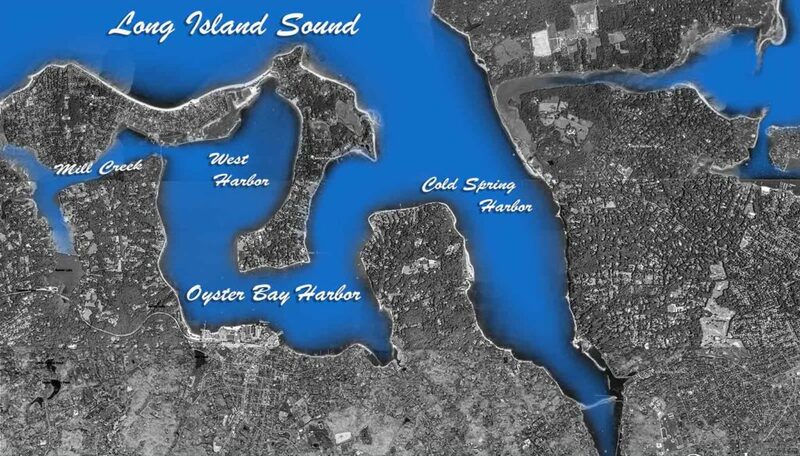 A monopoly was born, and with that birth began the demise of Oyster Bay Harbor’s natural environment. LEASED LAW VS PUBLIC LAW – The traditional hand rake shellfishermen (Baymen) are aggressively regulated and policed. There are over 40 pages of rules and regulations ranging from the amount of clams and oysters they are allowed to take each day, the size, the location, the equipment they are allowed to use. Baymen are not allowed to use any type of engine to propel their boat while shellfishing – not gas powered, not electric powered. Instead they use primitive sails to harness the wind and the currents. The Baymen have limits on how many shellfish they may catch in a day. If the commercial shellfishing company is found shellfishing on public lands, they face a fifty dollar fine for their first violation. If a Bayman is found shellfishing on leased land, his fines range from $250 to $2,000, plus possible equipment seizure and even jail time. 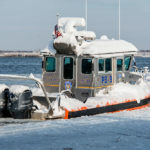 In December of 2015 two Nassau County Rescue helicopters and three Police boats were dispatched over Oyster Bay Harbor to give one 30 year old Bayman a ticket for having a clerical error on his boat registration. That Bayman was ticketed, fined $400, and his 20 foot boat was taken from him, towed and then impounded. In December of 2015 the “twin harbors” one of the seven commercial ships in the shellfish company’s fleet, was reported to local authorities as being in violation. The dredge boat was operating on public grounds. This was reported, this was photographed, this was filmed. The response from these authorities (the very same authorities who impounded the 30 year old Bayman’s boat) was as follows: “We can’t do anything about it. They will simply move before we can get out there to catch them over the lines”. Uncertified Lands consist of 685 acres of public bay bottom and 220 acres of leased bottom to the Frank M Flower Shellfish Co. Uncertified means that area is closed to shellfish harvesting because of poor water quality and is not safe to market the shellfish for sale. on occasions during the winter months the Department Of environmental Conservation along with the town of oyster bay will test these areas and if some sections pass quality standards they will open those areas for harvest. Bay Management Area is approximately 20 acres in size and is located just adjacent to a portion of West Shore Rd. This is an area that the Town of Oyster Bay buoys off and keeps closed for conducting shellfish restoration. An example would be for relaying shellfish from an uncertified area to a certified bay management area. This will allow the clams to flush themselves of all contaminants. Certain times of the year the Town of Oyster Bay will open this bay management area to the hand rakers to harvest the shellfish. Unfortunately recent studies done by the Town show this area has been impacted by a large amount of fine silt sedimentation and will no longer support new shellfish growth. The Baymen feel strongly that Frank M Flowers hydraulic dredging on the adjacent leased grounds are causing this problem. Leased land – Of the 4,000 available acres of Oyster Bay Harbor bottom, 1800 acres of prime shellfish-supporting bottom is leased by the industrial shellfish company. This land is secured, marked, guarded and aggressively policed by both private a publicly funded patrols. The industrial shellfish company operates seven hydraulic dredge ships which run completely unregulated all year long. They run as many and as large a shipping fleet as they choose, utilizing any means they prefer, for as many days per year as they like. Presently this company uses skip dredging, mechanical dredging, hydraulic dredging and even suction dredging. They mark their own territories, there is no limit to the number of ships they can operate, and there is no limit to the amount of shellfish they can seed or harvest in any given year – regardless of whether or not the environment can sustain it or not. This company, originally owned and operated by Frank M. Flowers from 1900 to 1995, is now owned and operated by three independent businessmen who have embed their powerful influences deep into the inner workings of town government. Public Land – There are roughly 800 productive acres of “Public Land” in the harbor. Residents of Oyster Bay, once registered and annually licensed through the Town of Oyster Bay as shell-fishermen, are allowed to shellfish on public land. These lands border the leased lands run by the industrial shellfish company. LEASED LAW VS PUBLIC LAW – The natural hand rake shellfishermen (Baymen) are aggressively regulated and policed. There are over 40 pages of rules and regulations ranging from the amount of clams and oysters they are allowed to take each day, the size, the location, the equipment they are allowed to use. Baymen are not allowed to use any type of engine to propel their boat while shellfishing – not gas powered, not electric powered. Instead they use primitive sails to harness the wind and the currents. The Baymen have limits on how many shellfish they may catch in a day. If the commercial shellfishing company is found shellfishing on public lands, they face a fifty dollar fine for their first violation. If a Bayman is found shellfishing on leased land, his fines range from $250 to $2,000, plus possible equipment seizure and even jail time. 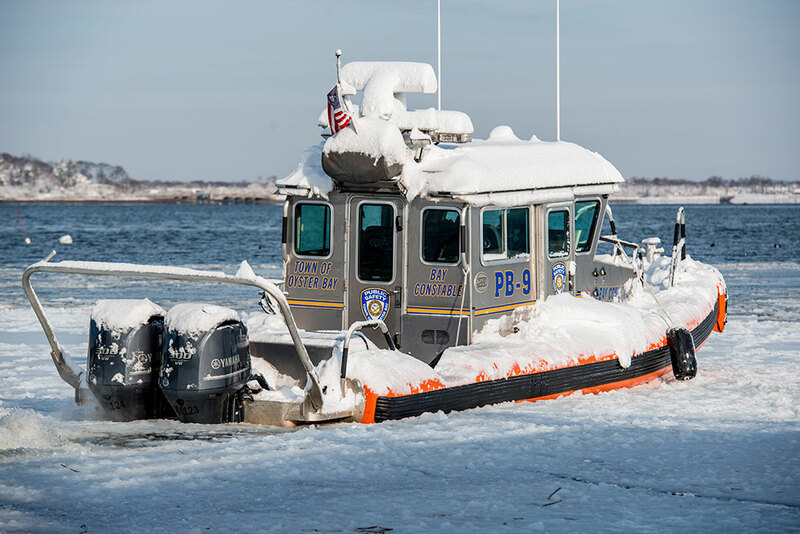 In January 2017 Nassau County sent helicopter and Police boats were dispatched over Oyster Bay Harbor to give one 40 year old Bayman a ticket for having a clerical error on his boat registration. That Bayman was ticketed, fined, and his 20 foot boat was taken from him, towed and then impounded. In December of 2015 the “Twin Harbor II” one of the seven commercial ships in the shellfish company’s fleet, was reported to local authorities as being in violation. The dredge boat was operating on public grounds. This was reported, this was photographed, this was filmed. The response from these authorities (the very same authorities who impounded the 40 year old Bayman’s boat) was as follows: “We can’t do anything about it. They will simply move before we can get out there to catch them over the lines”. Posted in CLAM WARS, FEATURED ARTICLES.